Get double the display capacity from your Double Bar Apparel Rack! 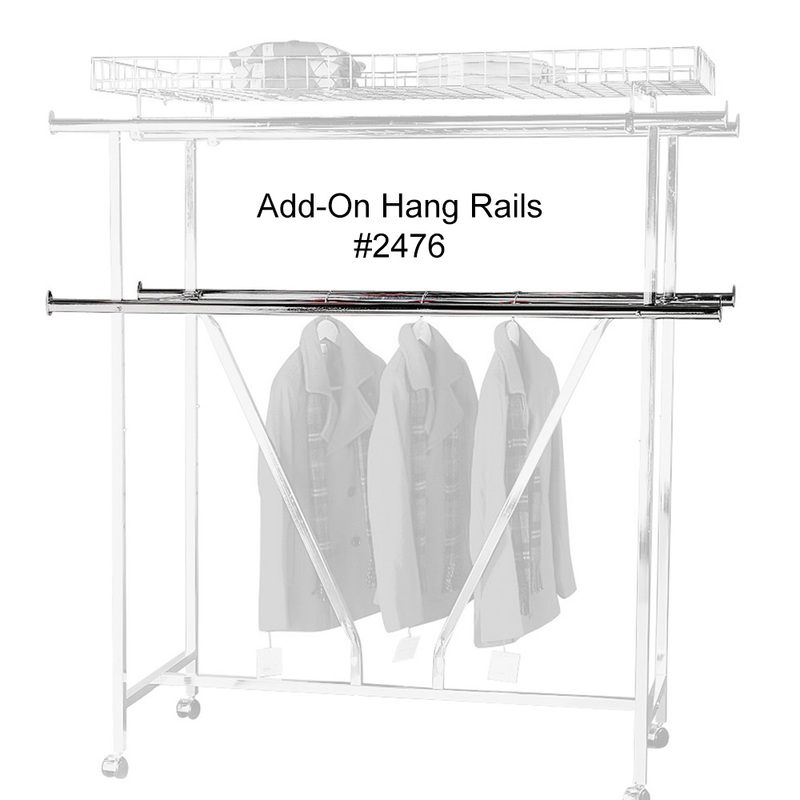 Display twice as much clothing on each rack with these add-on rails. Set of 2 - 60" long extra Hangrails for our Double rail rack. Easy clamps on to existing rack with included clamps. 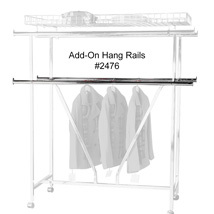 Double rail clothing rack (Item #2475) sold separately. For further options, we encourage you to take the occasion to look at our thorough collection of retail clothing racks for sale at Specialty Store Services now.